This has been a lot of fun. As we’ve made our way from 100 to 11, I’ve been constantly reminded of just how good a year 2018 has been. All sorts of teams have been represented, and all sorts of designs have been celebrated. It’s been a fantastic reminder of just how vibrant the football shirt world is, and I am cautiously excited for what the new year will bring. 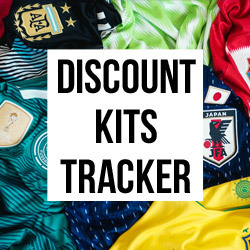 2019 is days away and we’re still feeling the effects of Christmas, but as the year draws to a close there’s still 10 more beautiful kits to feast our eyes on. Because we’re a little bit cruel, we’ll make you wait for the best shirt of the year. But this is as close as it gets. This is based on the classic blue and yellow shirt from the late 90s worn by one of the most iconic teams in recent Serie A history. 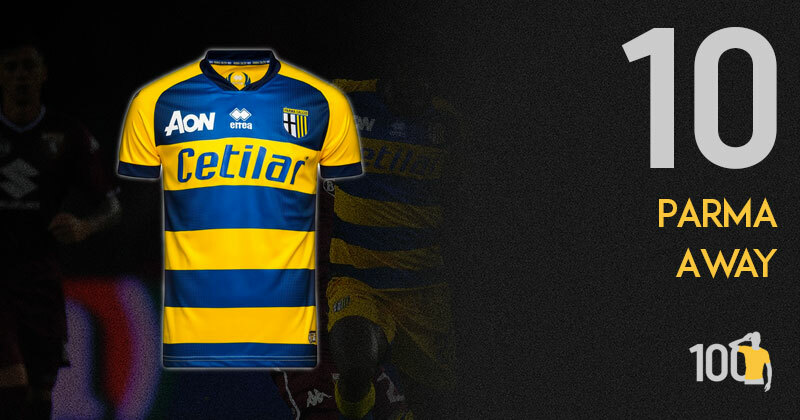 Parma will be hoping that this new shirt sees as much glory as that epic team did. The blue and yellow stripes are vibrant and sleek and the addition of reducing the sponsor to small logo at the top of the shirt is a great idea. It makes the shirt look clean and elegant. Easily one of the best shirts this year. One of the most iconic kits of the 1990’s, Calcio’s glory days, makes it splendid return here. Parma’s away shirt is everything I want from a football kit, with the perfectly complementary shades of yellow and blue running across it. I honestly cannot fault this shirt at all. It’s a classic, it looks amazing and I’m glad it’s back to remind us of a simpler time when Italian football ruled the world. 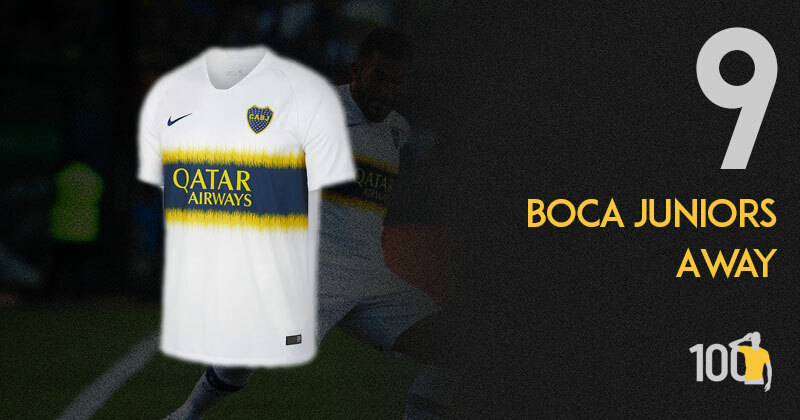 Nike have done Boca justice again with the new away kit. Taking the scribble pattern from the shoulders and throwing it on the waist works so well! Such a simple kit, but so well done. The away jersey was inspired by the atmosphere of La Bombonera. It follows the typically traditional Boca style, but brings its own spin. You can’t create a bad Boca Juniors kit, right? In many ways that’s a fair assumption, except curiously the Boca Juniors home kit isn’t amongst this list. 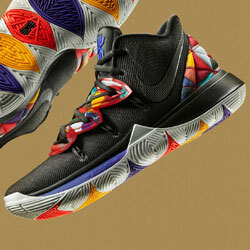 I can’t speak for the other writers, but my guess would be that Nike’s home effort this year is too vanilla. 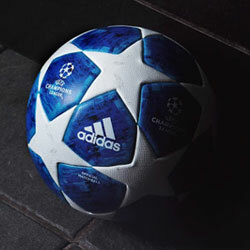 But on the away side, we have been treated to a superb reimagining of the classic design. The pattern is wonderful and this has to be the best incorporation of an airline sponsor ever. Given the simplicity of the home, it only looks better and this is exactly how kit design should be. Marcelo Bielsa has taken the championship by storm this season so it's only right that England's best shirt be sported by the Argentine's side. A modern and innovative shirt with lines of seemingly every colour going in seemingly every direction - it sounds so chaotic but it just isn’t. The navy blue is a conservative choice and stops the shirt from appearing messy, rendering it a gorgeous piece and rightfully the highest British shirt featured on our list. Whilst I love a yellow-blue Leeds United away kit this dark blue effort is lovely. 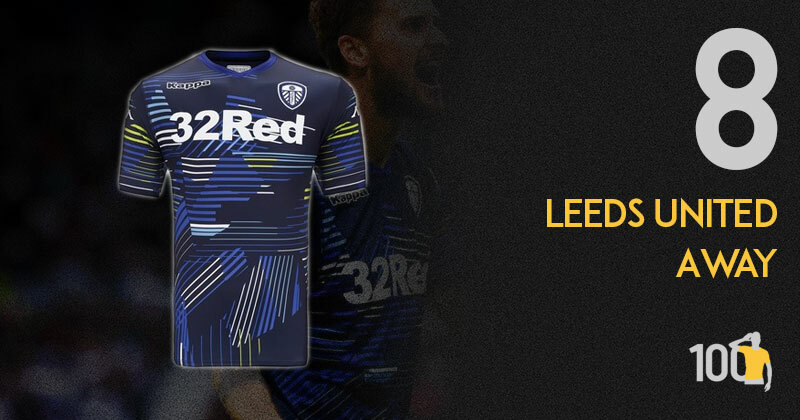 They keep just enough of the club’s key colours in the pattern to ensure that this is definitely a Leeds United shirt. The colour is great and the pattern has a great retro feel to it. Kappa have gone a bit logo-crazy this year but the single Kappa logos at the top of each sleeve are a welcome addition that match their work of the early 2000s. A really great kit that deserves the recognition it got on release. Due to my age I still love the idea of a black kit. It all seems like a novelty and slightly naughty to me, due to the colour not being used widely pre-1992. And this one is a beauty. I love Errea kits. They always have a feeling of class and style that other brands don’t quite achieve. The colours on this are perfect. The yellow-blue of the clubs main colour scheme is rendered in a brilliant contemporary central cross which is taken from the badge and has been used on kits by the club regularly throughout its history. 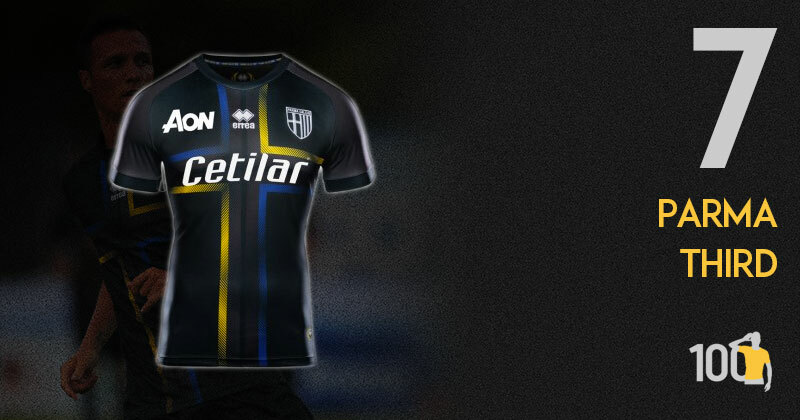 This is a brilliant modern take on a Parma kit tradition and it works perfectly. I apologise in advance, but I don’t like this shirt. At all. 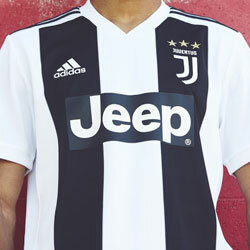 Whilst I appreciate why it might be liked, with the yellow and blue lines forming a cross on the clean black background, or the silver Parma badge, it’s just not for me. Especially when directly comparing it to the away shirt, I just find it a little dull and not up to scratch with some of the other third kits released this year. Imagine this shirt featuring a silver design of the city of Parma, and sigh at what could have been. I love a white away kit. I love a white away kit with a chest band. When that chest band is a tricolour of the nation’s flag you are getting towards away kit perfection. A bit like a previous adidas Belgium away shirt, this, due to the colours involved, is just about perfect. The crisp white and the vibrant deep red and green combine to make a real winner. With the red/maroon shorts it looks even better. I love this kit. This is beautiful and a great example of the colours not only working well with the shirt but also with the shorts. 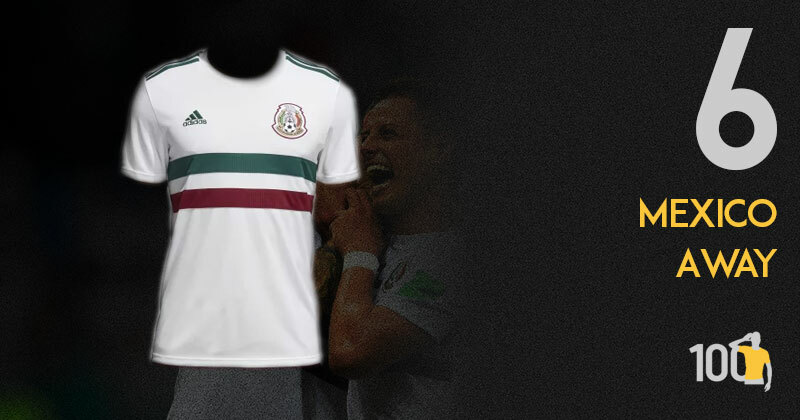 The kit takes its inspiration from two places: the Mexican flag and the kits worn during the 1970s. And the colours really are the stars of the show. It’s a shame this shirt was only used once during the World Cup as this was one of the best of the year. 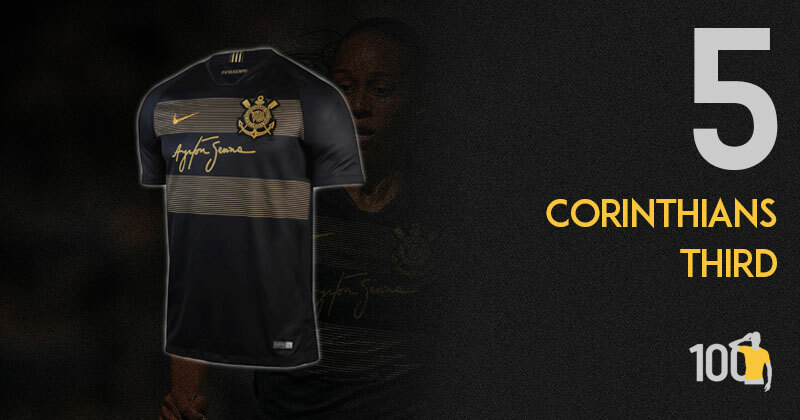 Featuring a beautiful golden tribute to Brazilian hero Ayrton Senna, this special kit released by Corinthians is one of the history books. The golden lines running across the front, only broken up by the man’s signature, is something incredibly special. Gold and Black is always a winning combo, but this shirts usage of thin, tightly packed golden lines makes it look even more inspirational. Great job again Nike. I’ve always been a distant spectator when it comes to F1. It would be on the tele most weekends growing up, and I enjoyed the plethora of sponsors that would accompany every inch of a grand prix event, but that was about as far as my interest went. But one name I do remember was Ayrton Senna. I don’t know how deep his association with Corinthians ran, but the shirt they have created to honour his memory is more than just a polite nod. This is a beautiful creation that taps into the aura Senna’s name still holds. It’s more than fitting. If you glanced quickly at what adidas brought to the World Cup, you’d be forgiven for thinking they simply remade popular shirts from the 90s. Spain, Germany, Colombia, they all got the retro treatment which well received but perhaps a little bit safe. But 2018 was not just about adidas tugging on our nostalgic heartstrings, they showed they can still create industry-leading designs. 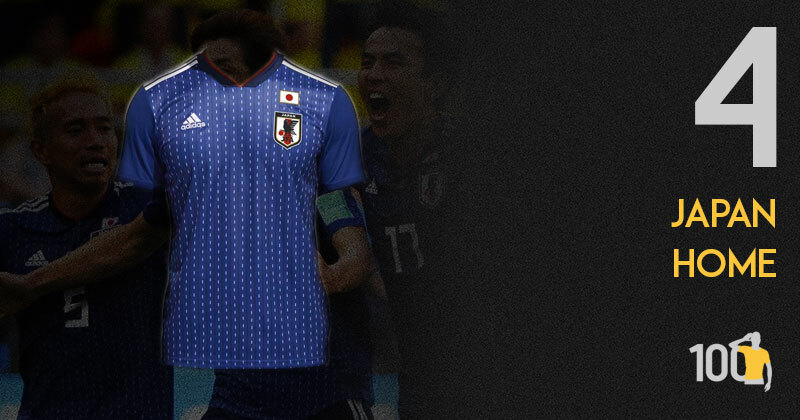 Japan is my favourite example of their new looks this year, with a stitching inspired pattern unlike anything I can recall. Combined with a reworked crest, this is razor sharp and deserving of a top 5 place. Now this kit is easily in my top 3 of 2018. A nice deep blue, unreal crest and an overall fantastic design. The crest features the Yatagarasu, a three-legged crow from Japanese mythology. which historically, has been the one to clean up after great battles. Fitting to think back to when the fans and players cleaned up after the battle against Belgium. The stitching design on the front of this kit is inspired by the traditional Sashiko embroidery that was used to stitch together kimonos in the Edo era. Adidas really put a lot of thought into this kit and I love them even more for it. 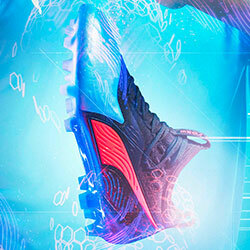 This is adidas at their creative best. Again, taking a classic and arguably unbeatable template from the country’s kit history and reworking it to perfection. It reminds you so much of West Germany away 1990. But the more you look the more you see the differences. It is a genius piece of design. I cannot tell you how much I love this kit. The unique colour, the shadow pattern, the collar. And like the home it has improved dramatically since that FIFA badge has gone. Now it looks perfect. 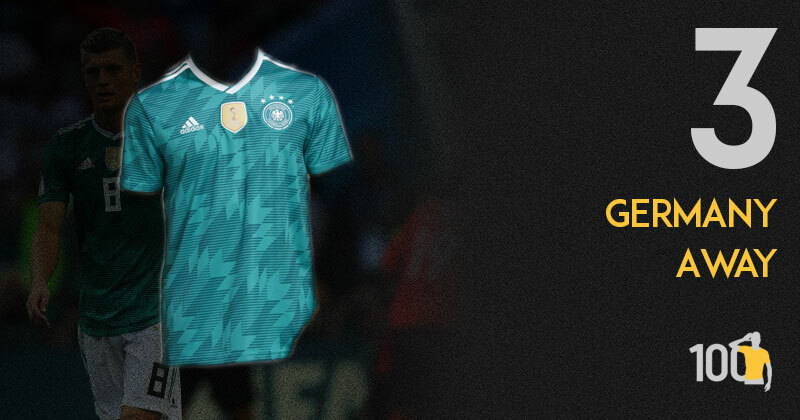 Despite the forgettable year and World Cup the German national team had, this shirt is a lovely call back to the shirt worn during their victorious campaign in Italia 90 (which you can read more about here). The Teal and darker green geometric design is always a sight for sore eyes, and looks even better with the World Cup Winner’s crest sewn in. Definitely my favourite shirt at this year’s World Cup. You thought this would be #1, didn’t you? Football shirts aren’t supposed to inspire queues like you’d see for a new iPhone. Football shirts aren’t supposed to appear on BBC News. Except this one. 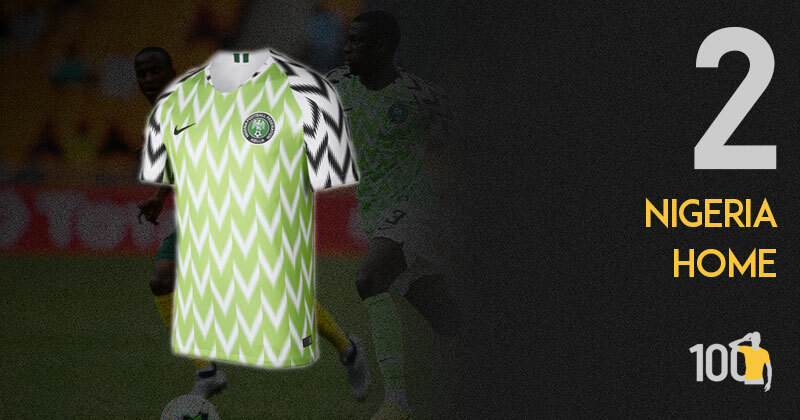 I loved seeing people talk about Nigeria’s home shirt. Was it a work of art? Was it’s popularity simply a result of well-planned marketing? The fact is it didn’t matter which camp you were in. All that mattered was that you were talking about it, and that makes it a truly unique shirt. This is a kit that went beyond our little kit bubble and into the wider world. We are literally hours away from revealing the best shirt of 2018. Do you have a favourite from the list so far? I’d love to know. And more than that, I’d love to hear your guesses for which shirt ended up on top of the pile. Send your guesses to me on Twitter. 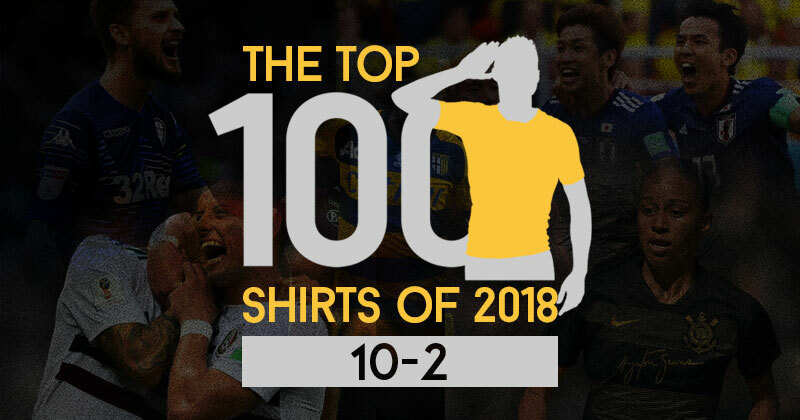 We’re approaching half-time in Top 100 Shirts, and the first half is ending with plenty of eye candy.